Point-to-Point racing in Ireland has been home to some of the greatest horses, jockeys and handlers within the racing industry over the years. You can find out more information about some of the leading players in the sport who are profiled below. Point-to-pointing is strictly for amateur jockeys, however, many are just amateur by name, riding just as good as their professional counterparts at the very highest level. Point-to-Pointing also offers young riders an excellent foundation to their careers, with the likes of champion jockeys Davy Russell and Ruby Walsh all having ridden for a time in point-to-points. It is not uncommon for amateur jockeys to win even the most iconic races in England and Ireland with many of the current amateur riders competing against professionals, be it at either the Cheltenham, Aintree or Punchestown Festivals. 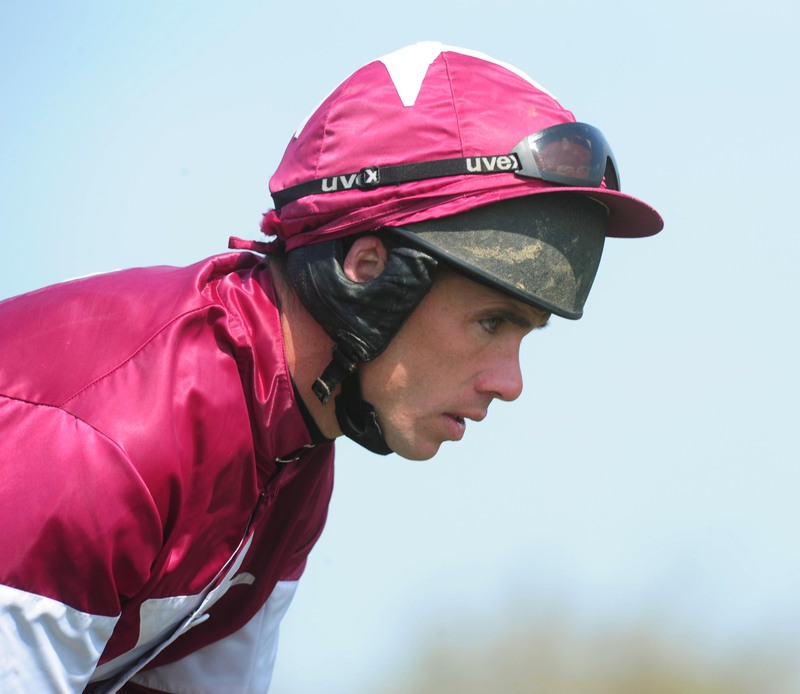 Many jockeys ride as amateurs whilst also combining that with their careers outside of racing. Whilst there are a number of races solely restricted to lady riders, many lady riders compete against their male counterparts on a weekly basis. 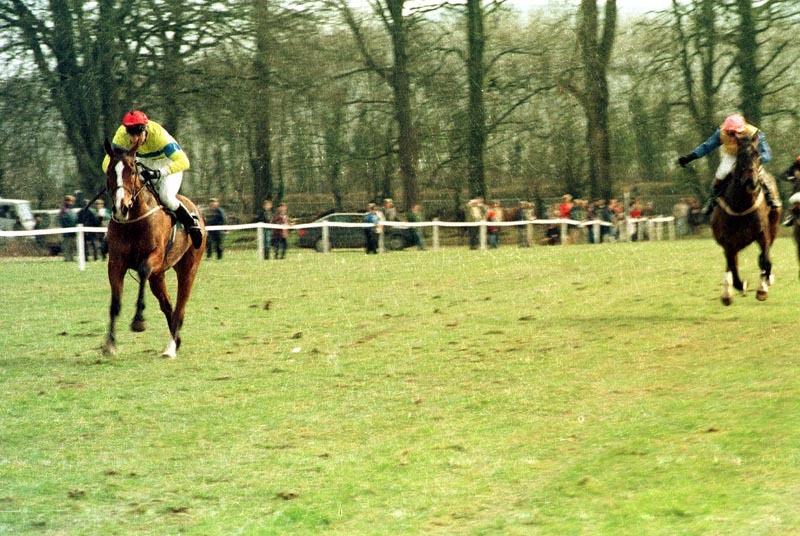 From Galway, Derek O’Connor is the most successful point-to-point rider to have ever competed in the sport. 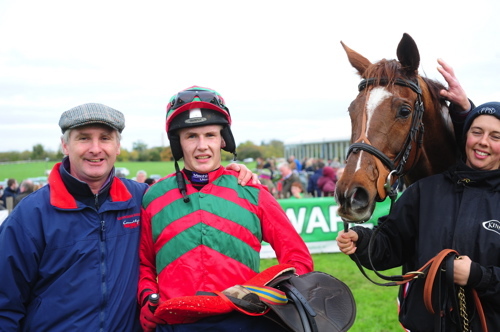 Since riding his first point-to-point winner at Killaloe in 2000, he has ridden over 1,100 point-to-point winners, with his landmark 1,100th winner in the sport being achieved at Kilfeacle, Co. Tipperary in January 2017 aboard Stalker Wallace. Aside from winning a record-breaking 11 champion point-to-point jockey titles, nine Western titles, eight Southern titles, six Northern titles and two Novice titles during his career riding in point-to-point’s, O’Connor has also partnered three winners at the Olympics of national hunt racing, the Cheltenham Festival, and a first Grade 1 victory in the 2018 Irish Gold Cup with Edwulf. 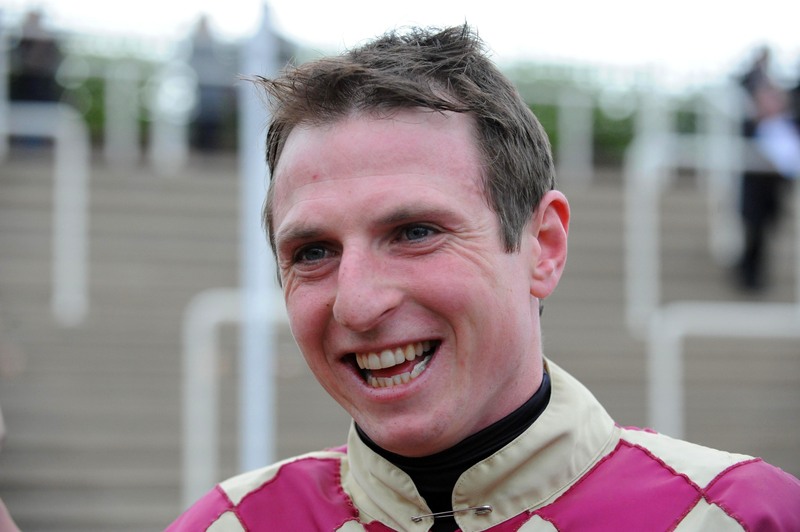 Jamie Codd has added to his racing C.V each year since beginning his career in 2000 with his title hauls thus far including two champion point-to-point jockey honours, three Northern titles, 11 Eastern titles, two senior awards and one Southern title. The Wexford native has also enjoyed considerable success on the track, including Grade 1 victories at the Punchestown and Cheltenham Festivals, among them seven Cheltenham Festival winners which he has already notched up. The 2016/17 season was particularly successful for Jamie as not only did he ride two winners at the Cheltenham Festival, finished second aboard Cause Of Causes in the Aintree Grand National and won his first ever track title, but he also recorded his 1,000th winner between point-to-points and on the track with victory at Bartlemy point-to-point in May 2017. Barry O’Neill is a previous two-time champion novice rider and the Wexford rider who has made a real breakthrough to the top of the sport in recent seasons, won his first ever overall champion point-to-point jockey’s title during the 2016/17 season. The same year which also saw him break through the 400 winners landmark at Stradbally point-to-point. Barry has enjoyed notable success in the hugely competitive four-year-old maiden division, partnering many future equine stars at the beginning of their careers thanks to his lucrative association with champion point-to-point handler Colin Bowe. Bowe has also been responsible for supplying many of Barry’s big racecourse winners, having also enjoyed Graded success on the track. O'Neill picked-up a second national title in 2018. 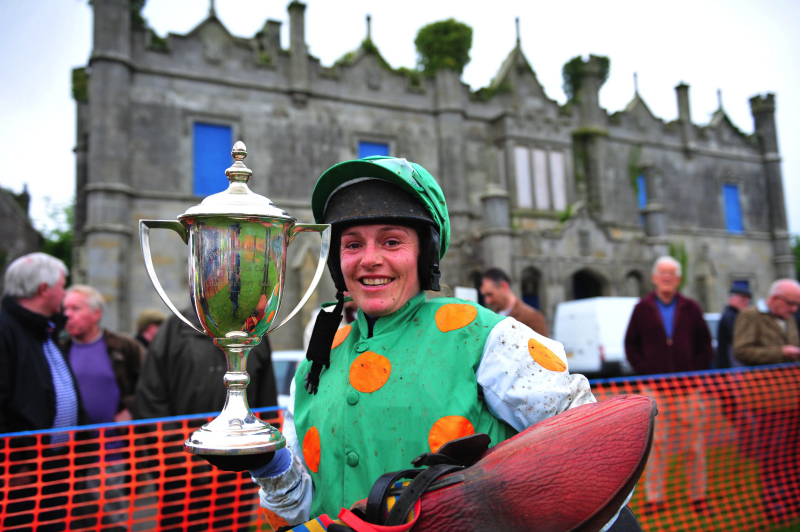 Liz Lalor is one of the most successful lady riders in the history of Irish point-to-point racing, having won the champion ladies title seven times within a ten year period. Hailing from a family steeped in National Hunt breeding, with the Lalor’s producing many Graded winners over the years carrying the ‘Carrigeen’ prefix in their names. Outside of her considerable achievements as a jockey, Liz also began training a number of her own horses and enjoyed a notable achievement in that role when saddling her first double on the track at Clonmel Racecourse in 2017. 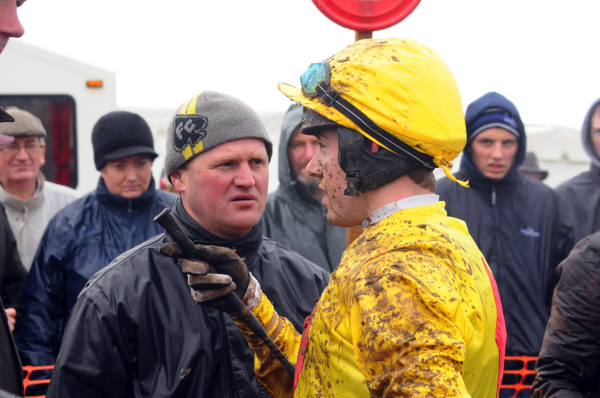 Noel McParlan is one of the leading riders on the Irish point-to-point scene, particularly in the northern region where he has struck up a very successful partnership with a number of trainers including Colin McBratney and his father, Sean. As well as riding more than 40 winners under rules, he has enjoyed success at the Cheltenham Festival, guiding the Warren Greatrex-trained Missed Approach to land the 2018 edition of the Kim Muir Chase. Rob James is one of the leading up-and-coming riders on the point-to-point circuit. 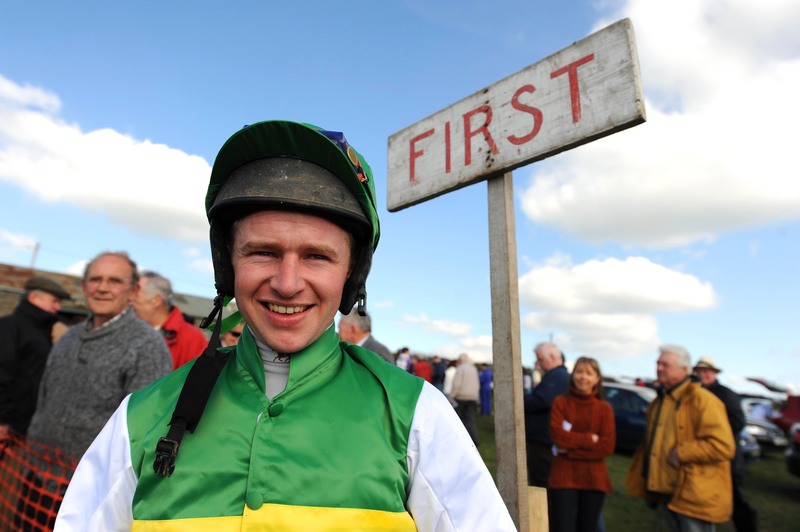 A native of Wexford, Rob only rode his first ever winner between the flags at Tinahely in 2012 aboard the Donnchadh Doyle-trained Amber Hill in a mares' maiden, but five years later he had already broken through the 100 winner barrier with the success of Insufficient Funds in 2017. 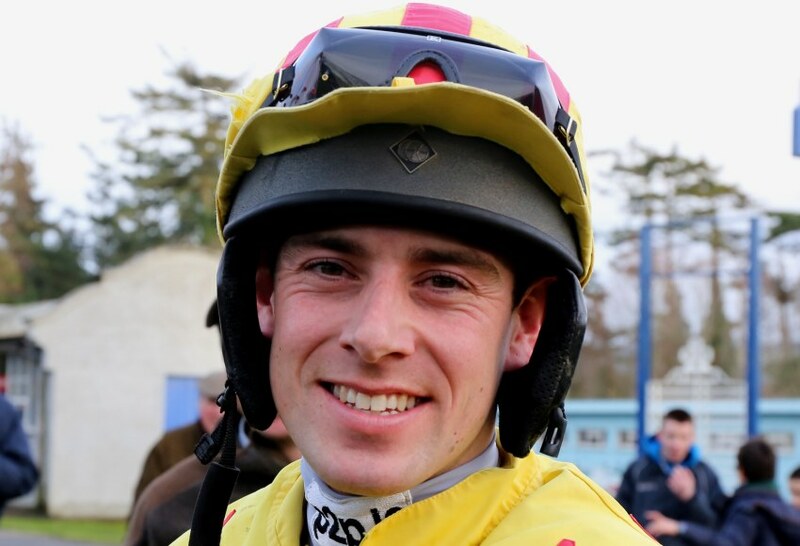 Rob has struck up a very successful partnership with Donnchadh Doyle in particular, which has seen him partner a number of lucrative four-year-old winners of late which helped him to claim his first regional riders title in the South at the end of the 2016/17 season which he shared with Jamie Codd, having previously also been crowned champion novice rider. Where horse racing at the likes of Leopardstown and The Curragh is tightly restricted to licensed trainers, one of the great traditions of point-to-point racing is the lighter criteria to train horses which allows much smaller yards to run horses. Over the years, many local farmers or horse breeders with careers outside of racing, have decided to train their own horses on the side as a hobby, with many handlers who train horses for point-to-points also holding careers outside of the training ranks. However, there is a large business element to the training of point-to-pointers, particularly younger horses. These commercial operators seek to buy young unraced horses as two or three-year-old’s, run them in point-to-point’s, primarily as four or five-year-old’s, before selling them on to those owners and trainers who specialise in racing on the racecourse, with the sale of these horses providing the handlers as their main source of income. Recent seasons have seen the returns for these handlers multiply with record prices in excess of £450,000 achieved at the many public auctions which take place here and in Britain to sell point-to-pointers. These operators tend to specialise in training younger horses, whilst it is often more common to see those horses running in older maidens, winners and open races under the care of smaller handlers or from family run operations where they keep their point-to-pointers as a past-time. Colin has enjoyed a very successful training career and to date has trained over 250 point-to-point winners. Like many of the point-to-point handlers, Colin’s business involves the buying of unraced three-year-old horses and selling them on after they have shown promise in a point-to-point and he is at the forefront of this as a multiple champion point-to-point handler. The likes of Little King Robin, Samcro, Shantou Flyer and Clondaw Warrior are horses who have run for him in point-to-points before going on to achieve notable success on the racecourse. The Doyle family from Wexford have in a very short time made a big name for themselves as one of the largest producers of point-to-point horses. Brothers Sean, Donnchadh and Cormac all train their horses under the Monbeg Syndicate name and are among the leading producers of four and five-year-old point-to-point horses. The Monbeg team have topped many of the sales with their point-to-point graduates which have gone on to become leading performers on the race track for their new connections. 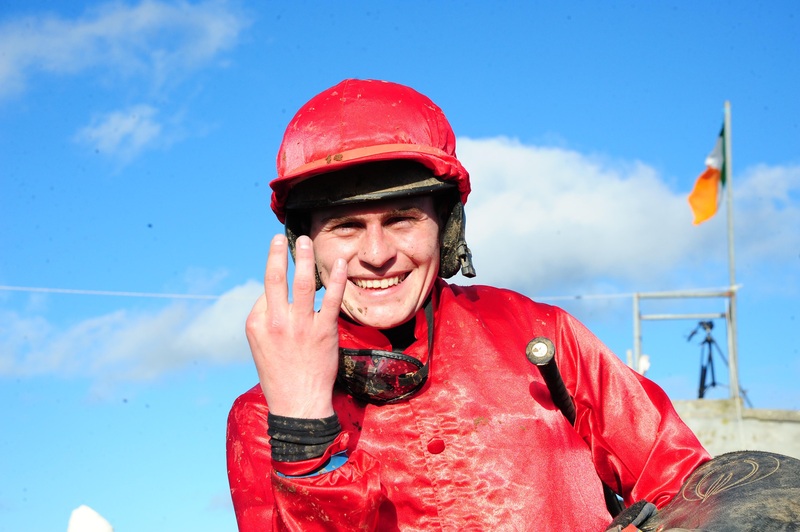 The Doyle brothers use many different jockeys each weekend but they have built a particularly strong link with Rob James, Barry O’Neill, Harley Dunne and Jimmy O’Rourke, whilst another Doyle brother, Gearoid, is beginning to make a name for himself as a point-to-point jockey. Co. Fermanagh-based David Christie has been associated with many well-known point-to-point horses over the years and has enjoyed a lot of success from a small team of horses. David has become renowned for his ability at sourcing older horses who have lost their way for other trainers, before re-vitalising them with the switch to point-to-points. That has allowed him to become one of the leading trainers of open lightweight horses in the country with so many of his horses winning multiple races in this division, including the 21-time winner Top Twig, 18-time winning mare, Maple Mons, and the likes of Arctic Copper, Royal Ranger and Finoel who are all synonymous in point-to-point racing circles. 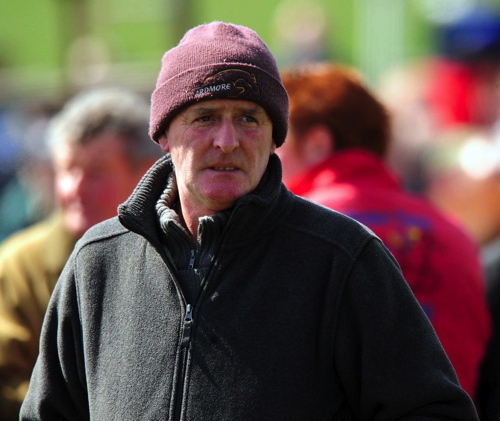 Denis trains in Enniscorthy, Co. Wexford and has developed a name as one of the leading point-to-point handlers in recent years as well as training many horses to victory on the race track. In 2013 Denis enjoyed success with his charge Theroadtocroker, in the Prix De Gene Cross-Country Chase in Le Lion D’Angers in France. 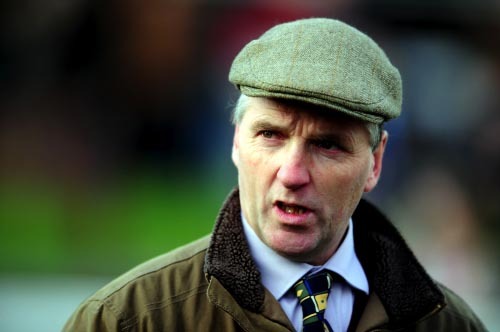 Denis has built a strong partnership with one of the leading riders, Jamie Codd, where the pair have been associated with many point-to-point graduates. In 2016 the duo made the headlines when a horse called Finian’s Oscar won his point-to-point maiden at Portrush in Co. Derry. Following his point-to-point win, Finian’s Oscar went on to win two Grade one races on the race track which is a remarkable achievement for a young national hunt horse in his first season. Colin trains in Co. Antrim and has developed a strong partnership with owner, Wilson Dennison. Colin has become very well known for educating young horses to a very high standard and has been rewarded each year when many of his point-to-point graduates going on to achieve at the highest level. Shaneshill, Yorkhill, Blaklion and Ballyoptic are just some of the leading names to have been trained by Colin during their point-to-point careers who went on to become successful in Graded races on the race track. In 2017, Colin and Wilson debuted another exciting horse when Flemenshill won his four-year-old maiden at Oldtown before going on to be sold for £480,000 at the horses in training sale and making him the most expensive point-to-point horse sold at public suction. 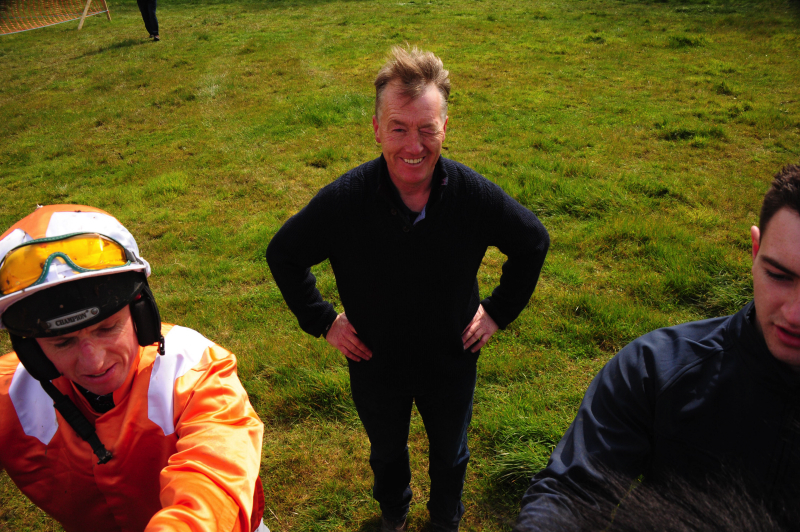 Former point-to-point rider turned trainer, Robert Tyner, has been training horses for point-to-points and track racing from his Kinsale-based yard for over 30 years and like many other of the leading handlers, he has been associated with many high profile point-to-point graduates. 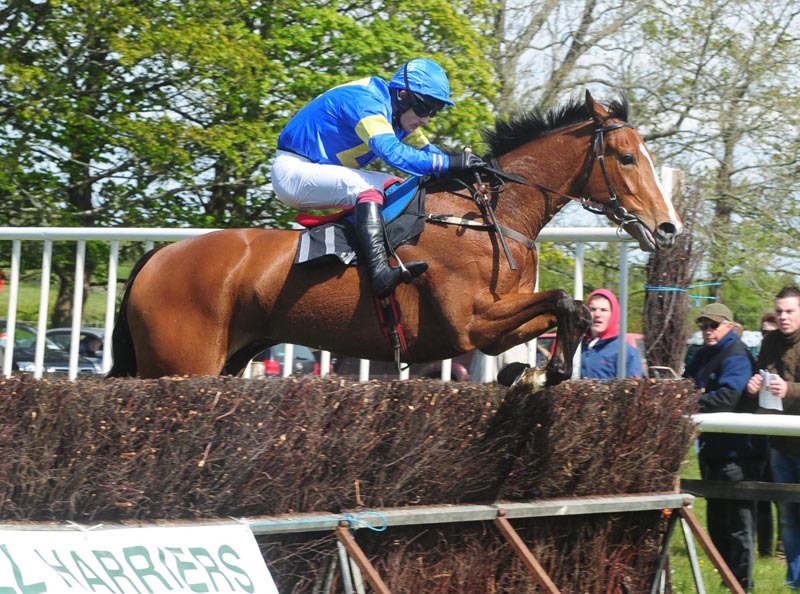 Robert has enjoyed track success with horses such as Spring The Que, Call Me Dara, I Can Imagine, Footy Facts and Carrigmoorna Rock and has developed a strong partnership with the multiple champion point-to-point rider, Derek O’Connor. In 2017, the pair teamed up to take the prestigious Goffs Landrover Bumper held at the Punchestown festival with Vision Des Flos. Robert is also heavily involved with his local point-to-point that is held at Kinsale every year during the June Bank Holiday weekend. Point-to-pointing has been the starting point for horses in Irish racing for many decades and each year it has produced exceptionally talented horses that have gone on to achieve further success on the track from Grand National winners to Gold Cup winners. Names such as Florida Pearl, Denman, War Of Attrition and Finian’s Oscar all began their careers in point-to-points which shows you the raw talent you could be witnessing each week. The average number of winners to win on the racecourse in Ireland and the UK that have graduated from Irish Point to Points is over 100 per month ensuring it is still the number one starting block for Human and Equine alike. Denman failed to sell as a three-year-old which resulted in his owners putting him in training with former jockey Adrian Maguire. 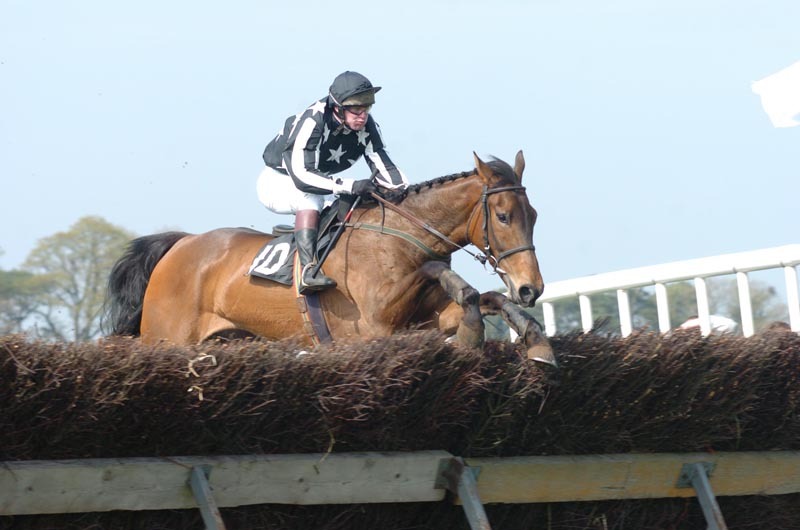 Showing his quality from an early stage, Denman won his point-to-point as a five-year-old at Liscarroll near Mallow, Co. Cork in 2005. Winning by an impressive 12 lengths that day, Denman was soon bought by one of England’s largest racing owners, Paul Barber who together with his other owner, Harry Findlay, sent their new charge to champion trainer, Paul Nicholls. Denman gathered a large following when he was in training and became known as the tank as he was seen as an old-fashioned chaser due to his size and relentless galloping he displayed each time he ran. Denman certainly didn’t disappoint his new connections as he won an incredible 14 races which includes wins in the Lexus chase, the Royal and Sun Alliance Chase, the 2008 Cheltenham Gold Cup and two wins in the Hennessy Gold Cup, resulting in over £1.3 million in prizemoney. War Of Attrition did not have the same start as many of the well-known point-to-point graduates as he fell on his debut as a four-year-old at Horse and Jockey, Co. Tipperary in 2003. Trained by Mouse Morris, War of Attrition ran in the familiar maroon and white silks of Gigginstown House stud for owner Michael O’Leary and won his first race in December 2003 at Punchestown. 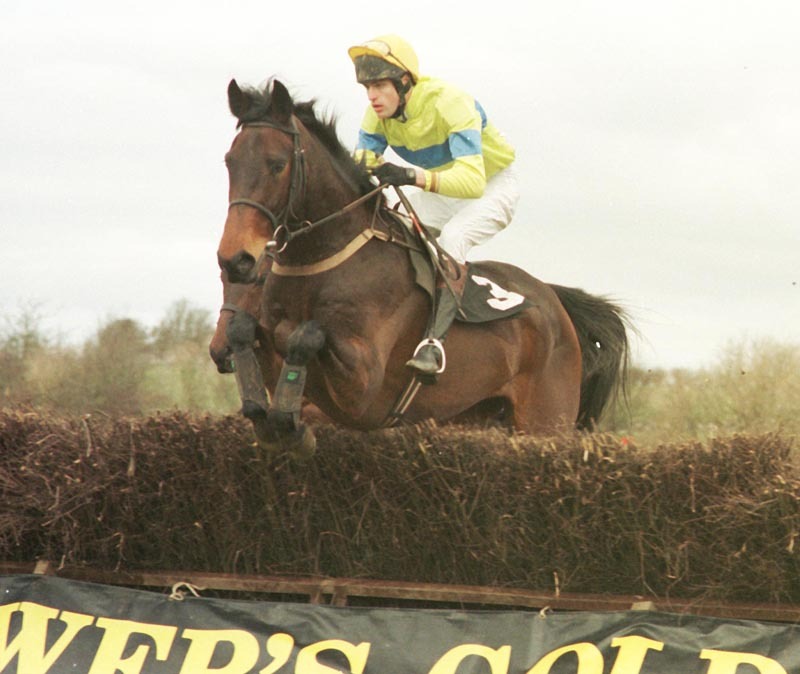 Partnered by Conor O’Dwyer for most of his racing career, War of Attrition won 14 races during his career including wins in the 2006 Cheltenham Gold Cup, the Punchestown Guinness Gold Cup, the Galmoy Hurdle and the Boyne Hurdle, which saw him run up against some of the best horses in training at that time such as Brave Inca, Kicking King and Beef or Salmon. Florida Pearl made his debut when winning his four-year-old maiden at Lismore, Co. Waterford in March 1996. He was trained by the legendary Tom Costello who has been associated with many high profile point-to-point graduates including the three times Gold cup winner, Best Mate. Following his point-to-point win, Florida Pearl joined the Willie Mullins yard and ran in the new colours of Mrs. Violet O’Leary for whom he won 16 times including victories in the Champion Bumper, Royal & Sun Alliance Chase, King George VI Chase and a record four Irish Hennessy Gold cups among other high class races. Best Mate was another graduate of the Tom Costello yard having begun his career in point-to-points under the care of the Clare-based trainer. 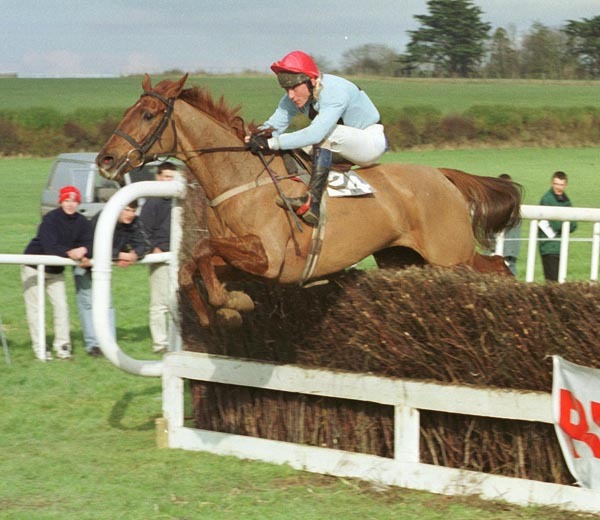 Best Mate pulled up on his point-to-point debut at Lismore, Co. Waterford in 1999 but caught the eye of English trainer Henrietta Knight that day. 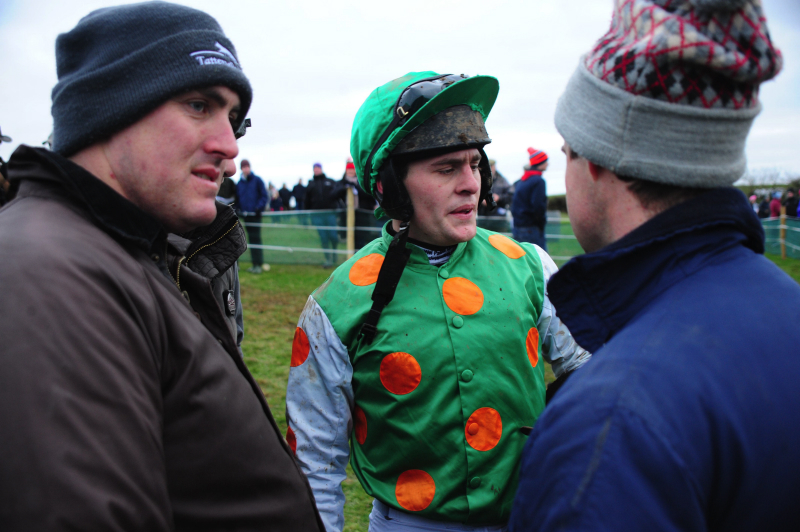 Tom Costello ran his charge in one more point-to-point where he confirmed his talent having won the following weekend at Belclare when ridden by his son Adrian. During his career on the race track, Best Mate became one of the most popular horses in training and showed himself to be a model of consistency for his new connections having won 14 of his 22 races and finishing second on seven occasions. Like the iconic Arkle, Best Mate won three consecutive Gold Cups in 2002, 2003 and 2004. Unfortunately Best Mate passed away in 2005 after suffering a heart attack during a race at Exeter. Best Mate was cremated with his ashes being buried beside the winning post at Cheltenham race course. 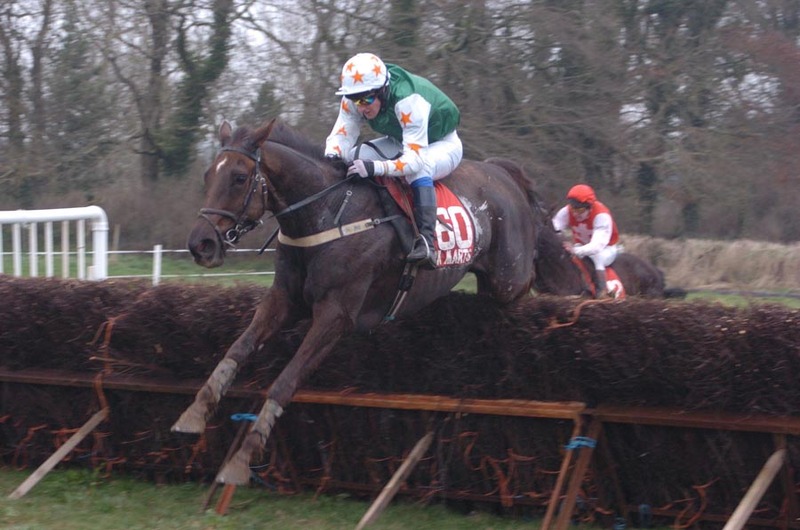 Imperial Commander won as a four-year-old when he made his point-to-point debut at Summerhill, Co. Meath in April 2005. He did not run again until October 2006 where he won his bumper at Cheltenham for his trainer, Nigel Twiston-Davies. He followed this win with one success over hurdles until he won his first chase in October 2007. Owned by a syndicate called “Our Friends in the North”, Imperial Commander won five more chases, including the 2009 Ryanair Chase at Cheltenham and the 2010 Cheltenham Gold Cup where he defeated former Irish pointer, Denman. His last run saw him pull-up in the 2013 Hennessy Gold cup before being retired where he began a new career as a show horse until passing away in April 2017. Beef Or Salmon fell on his point-to-point debut at Dungarvan before winning his five-year-old maiden on his next start at Clonmel, Co. Tipperary. Trained by Michael Hourigan, Beef Or Salmon surprised many as he was by an unknown sire and had very little breeding that would be typically seen in Irish or English bred horses. A winner of 19 races which includes an astonishing 10 Grade one victories, Beef or Salmon incredibly won all of his races in Ireland with Leopardstown proving to be his favourite track with six victories there. During his career, Beef Or Salmon became well known even outside of the racing world due to his catchy name. Faugheen won his four-year-old maiden point-to-point at Ballysteen, Co. Limerick in 2012 for Andrew Slattery. An impressive winner on his debut, he was then sold to Willie Mullins where he was owned by Mrs. Susannah Ricci. Incredibly, he won 12 races from 13 starts for his new connections including seven Grade ones and became known as Faugheen the machine. What makes the two-time Cheltenham champion hurdle winner slightly different to the above mentioned horses is that he achieved all of his graded success in hurdle races over much shorter distances and not over fences which shows you the versatility of horses that graduate from the point-to-point field.